The use of glass for the decoration of the house is a relatively new concept that has been well embraced by the people living the modern lifestyle. The minimalist design of the modern homes is perfectly complimented by the glass décor. It not only gives the feel of openness and large space, but also makes the aesthetics look more appealing. The use of clear blocks of glass has moved beyond their applications in windows and door panels. These days, the glass is increasingly being used in place of the usual brick and cement. Although, used along with wood, brick, cement, steel etc., it can easily transform the interiors of a place into more sophisticated surroundings. Similarly, the use of the colored, tinted or painted glass can instantly brighten up a dull interior and make it look vibrant. The use of colorful glass mosaics, murals, vases, statues, lamp shades, wall hangings etc. is a great way to enhance the look of any place. With the manufacture of strong and durable glass, it can be conveniently used in the commercial as well as residential projects alike. The glass can be tempered to make it extra strong, break proof, shatter proof and shock resistant. These qualities make it an apt material to be used in the offices, homes, shops, malls and party halls. 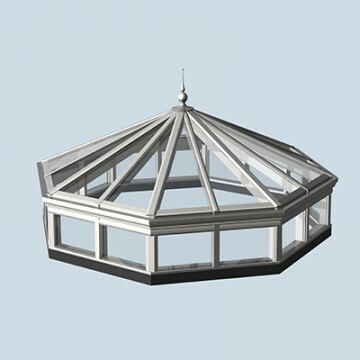 The layered glass with extra strength offers these unique features that render it useful in high rise constructions and sky scrapers. The large glass windows allow ample sunlight to come in and offer a good source of air ventilation. The French windows look grand. Such large windows do not block the view, either. The non-stick surface of the glass makes it easy to clean and prevents dirt and dust from sitting on it. It also protects from the break- ins and forced entries. 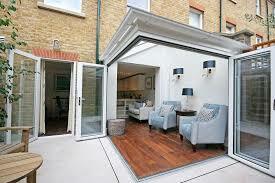 Another benefit of using glass in constructions is that it offers greater safety and fire resistance. The glass also acts as an insulator and reduces distractions due to loud noise. The self tinting glass used in windows and doors provides high protection from the harmful UV rays and heat from the sun. It also blocks out the glare. This type of glass is although, expensive, but also in high demand. For those dealing with a space crunch, the glass walls take up lesser space and are an excellent way of creating the illusion of space. Its use in the creation of furniture and partitions is effective to lend a touch of distinction and style. With energy efficient and inexpensive glass, the options are plenty. You can install a stylish glass pool fencing to keep the pets and children safe and still enjoy the view. The bathroom remodel with glass shower and bath screens, and sliding glass doors & mirrors Melbourne would make it a luxurious experience. A glass balustrade to secure your balcony would look very modern. The garden tables and stands are an inexpensive and low maintenance option. The modular or regular kitchen with the glass splash backs, table topsHealth Fitness Articles, shelves etc. would be the envy of your neighbors. We see that glass offers a great flexibility of use and perfectly combines the functionality with great looks and sophistication.